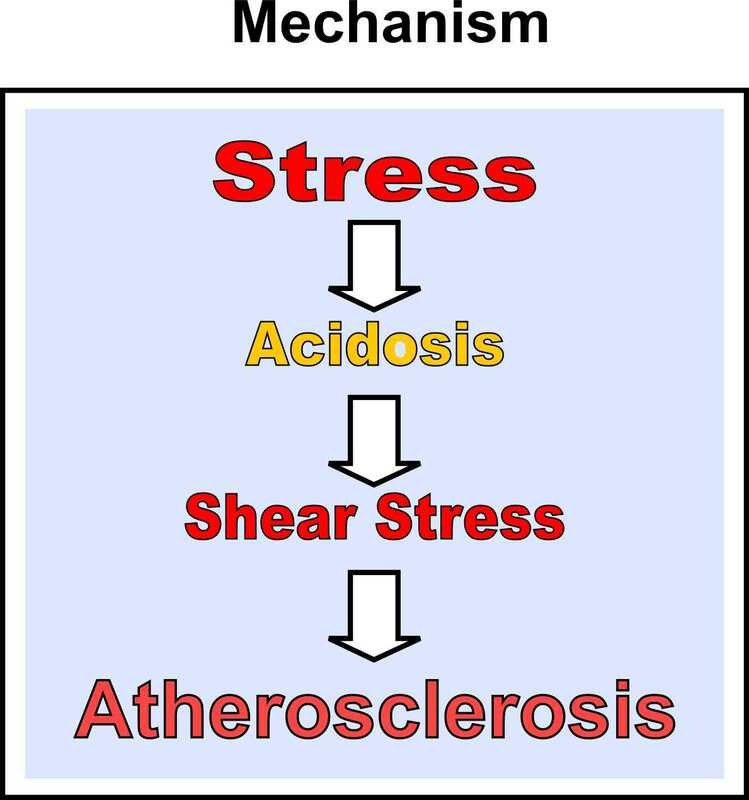 New Evidences: Acidity Theory of Atherosclerosis: Fermentable carbohydrates: A link between periodontal disease and cardiovascular disease? Fermentable carbohydrates: A link between periodontal disease and cardiovascular disease? The first paper to indicate a link between dental disease and heart disease was wrote by Cleave and Campbell in 1966. In their article these researchers have postulated that excessive fermentable carbohydrates could led to both dental and systemic diseases (1). Yudkin, sharing the same opinion from Cleave, wrote in 1972: “My research on coronary heart disease has convinced me beyond doubt that sugar plays a considerable part in this terrifying epidemic” (2). While both Cleave and Yudkin had distinct hypotheses regarding which dietary carbohydrates caused chronic non-communicable diseases (CNCDs), they were unified regarding the significance of high-glycemic dietary carbohydrates and dental CNCDs. According to Cleave-Yudkin’s hypothesis—both dental and systemic CNCDs were due to an excess intake of fermentable carbohydrates, dental CNCDs were the early marker for systemic CNCDs, and dental CNCDs should be primarily prevented by restriction of fermentable carbohydrates. “In favor of Cleave-Yudkin’s hypothesis is the ability to predict and explain dental-systemic disease associations that were unknown when the hypothesis was formulated. It is now known, for instance, that markers of abnormal glucose metabolism, such as high levels of advanced glycation end-products or post-load plasma glucose concentration, have been related to diverse systemic outcomes such cardiovascular disease (Jandeleit-Dahm and Cooper, 2008). Similarly, the more a diet drops dental plaque pH, the more it spikes blood glucose levels, providing an elegant biological plausibility model for Cleave-Yudkin’s hypothesis that dental caries is an alarm bell for systemic CNCDs (Lingström et al., 1993)”. Confirming the Cleave-Yudkin’s hypothesis an Italian study published last week has shown that high dietary glycemic load and carbohydrate intake from high-GI foods increase the overall risk of cardiovascular disease in women, but not in men. In practice the study shows that women who eat more white bread, white rice, pizza, and other carbohydrate-rich foods, that cause blood sugar to spike, are more than twice as likely to develop heart disease than women who eat less of those foods. This study involving 47 749 volunteers (15 171 men and 32 578 women), who completed a dietary questionnaire, had a median duration of 7.9 years of follow-up with 463 CHD cases (158 women and 305 men) identified. The authors said in their paper that a possible reason for the failure to find an association between a high glycemic diet and CHD among men could be that adverse changes in plasma HDL cholesterol and triglyceride levels, as a result of a high glycemic diet, are stronger risk factors for CVD in women than men (4). It is interesting to notice that high-carbohydrate diets, particularly in the form of high-glycemic index carbohydrate, may keep the sympathetic nervous system overactive (5). Also that high carbohydrate diet may increase significantly the activity of serum lactate dehydrogenase (6). All the points cited above supply evidences for our acidity theory of atherosclerosis (6). Some recent studies have shown that treatment of periodontal disease results in benefits for the prevention of atherosclerosis. Tonetti and colleagues have shown that intensive periodontal treatment, 6 months after therapy, the benefits in oral health were associated with improvement in endothelial function (7). Piconi et al have confirmed that treatment of periodontal disease results in improvements of endothelial dysfunction, aside a reduction of the carotid intima-media thickness. The authors of this paper have concluded that these results offer further support to the hypothesis that periodontal disease predisposes to atherosclerosis, shedding some light on the mechanisms possibly associated with this hypothesis, and reinforce the idea that atherosclerosis is an immune-mediated disease (8). 1) From one side the transport from the mouth directly to the blood circulation, through the sublingual route, of sugars related to high-carbohydrate diets leading to an overactive sympathetic nervous system and then to the atherosclerotic process. This idea is based in the regular use of the sublingual route with diffusion directly in the venous circulation for fast effects of remedies including cardiovascular drugs. 2) On the other side the saliva concentrations representing a mix of local chronic inflammatory response plus the acidity of other body conditions derived mostly from chronic stress aside from other factors expressed by markers of blood acidity, lactate dehydrogenase activity, sympathetic nervous system activity and hypothalamic-pituitary-adrenal activity. In our view this second road may also contribute to dental disease. 2. Yudkin J (1972b). Sweet and dangerous; the new facts about the sugar you eat as a cause of heart disease, diabetes, and other killers. New York: P.H. Wyden, Inc.